While Subang Jaya is a famous layout near to KL in Selangor, Malaysia brings to you CyberJaya, it's first ever cyber city which will impact Malaysia and the world in a big way! Below is an excerpt of what Cyberjaya really is about, their vision, the challenges they face, and mostly important WHY cyberjaya! Read on. Cyberjaya is the first ever cybercity which plays a very important role in Malaysia's development and growth of the national technology industry. The growth of Cyberjaya as a Global Technology Hub is sustained by Cyberview, which acts as an one-stop-centre that manages Cyberjaya’s day-to-day operations, including marketing and at the same time promoting Cyberjaya to not only foreign companies, but also to allow more Malaysians to be able to establish research and development facilities in this tech-city. Cyberview is given a task to make Cyberjaya’s aspirations come true. By achieving the aspiration as a global technology hub, the economic growth of the nation will be driven higher and further. Aspects such as talent facilitation, site selection assistance, business matching and strategic partnerships are important to enable Cyberjaya to reach out to more people. It was such a pleasure to be able to interview Ms Roziana Mohammad, the manager of Programme and Policy Development Technology Hub Development Division. 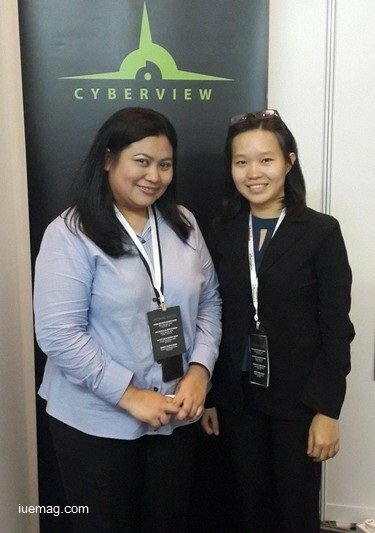 Among the industry development initiatives served by Cyberview, talent development is one of the aspects that is looked into to bring in more talents to Cyberjaya. Well, not just talents, but the right ones instead. Ms. Roziana said, one of the most frequent questions asked by a company is - "Can they get the right talents?" So, what do they mean by the “right” talents ? So if you were to ask, why Cyberjaya? They have world-class infrastructure which is also the second most affordable office space in ASEAN. Besides that, it is a home for over 240 enterprises past the startup stage, and one of the successful stories is ANIMONSTA Studios, who produced “Boboiboy”, which is a famous television series that is loved and watched by many children in Malaysia.